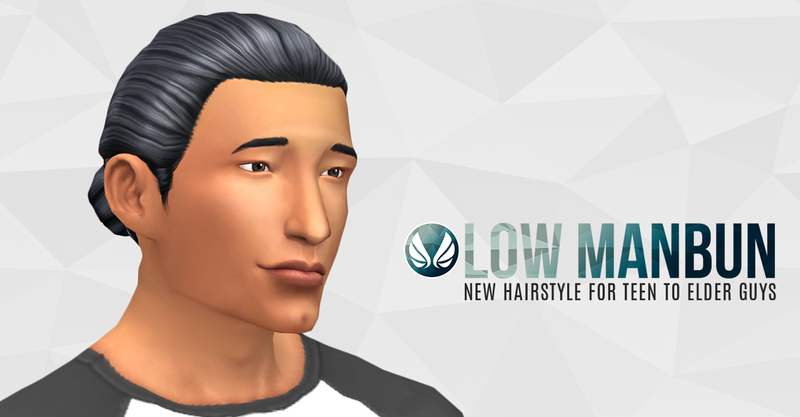 I don't readily create hair, but when I do, it is always because something is lacking and I can't wait for someone else to come up with the idea. When it comes to man buns (some of you are probably like, not man buns, i hate them! This post is probably not for you, so I ask why are you still reading?) a lot of the designs are either top knot or high man bun styles. 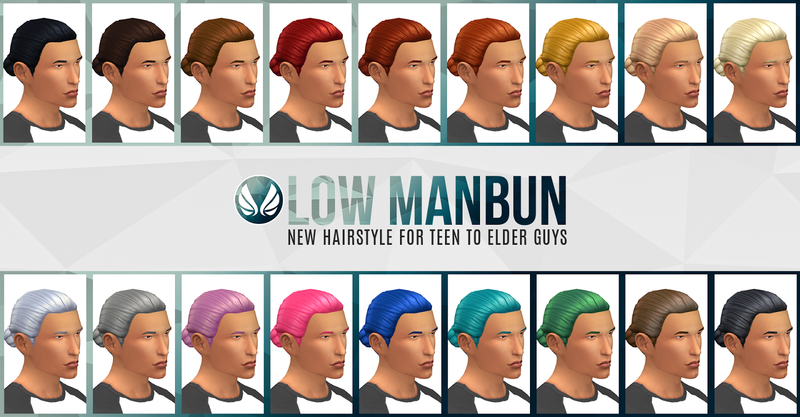 I personally prefer a low manbun and there is only one decent version made by EA. However, I hate the parted look so I took that mesh, mash it with a female ponytail braid hair and voilà! 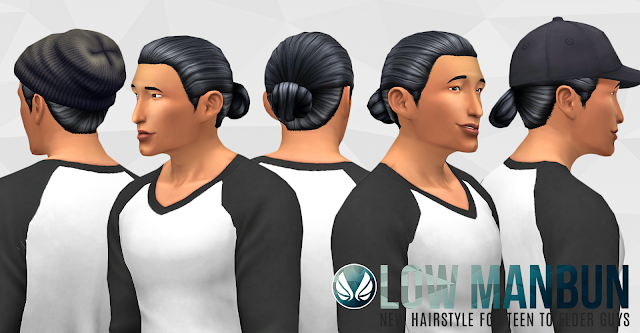 Low manbun to my liking. I am sharing this because there was interest and I removed all obvious bugs it had from frankenmeshing. I didn't do my additional colours for this, as they no longer get much use in my game, so just the standard EA colours are included. 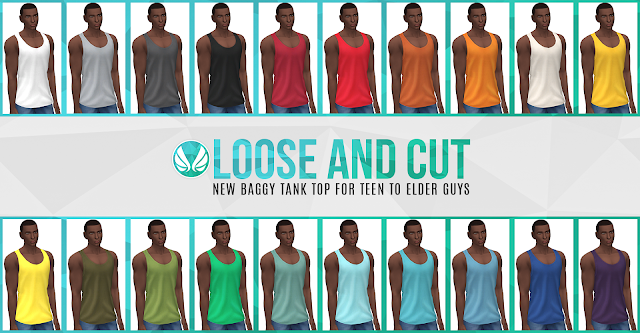 You really don't see a lot of tank tops around. Probably because after a while they all tend to look the same, It is however a great peice of casual clothing for guys whether then are at home, or out at the park. I tried to make this tank a bit different with a split seam and a longer length and I am very happy with the outcome. Considering this started out as an attempt at a sleeveless button-up shirt, it turned out well. 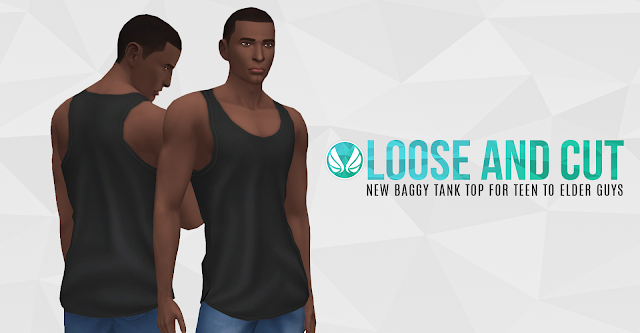 Note: this top is a longer then a standard t-shirt or tank, going down past the waist to the groin. Because of this, I have reassigned the weight paint and adjusted the UV maps so it should not clip that much with EA bottoms. It will however clip a little (or perhaps more), depending on what it is put with. That is the downside to longer tops. So be mindful it may clip depending on what you put it with, especially CC bottoms.